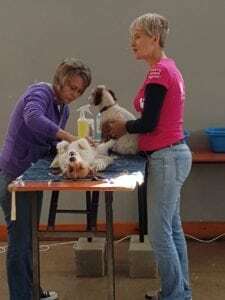 What an absolute joy to be able to send 100 cats and dogs home from this mass outreach clinic, sterilised and vaccinated against rabies. 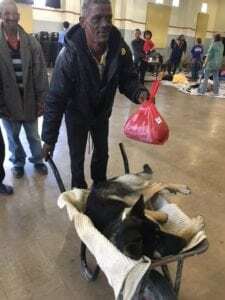 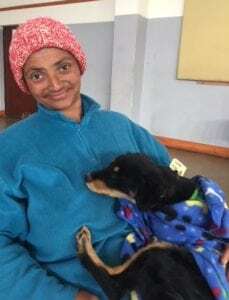 In addition to their medical care, all animals were sent home with food parcels and some with blankets, leads and collars. 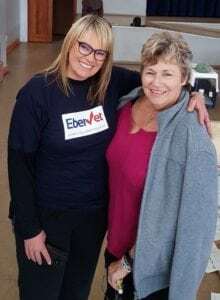 Five veterinarians from EberVet Pet Clinic, EberVet Community Veterinary Care, Country Animal Clinic, Hermanus Animal Hospital and The Cottage Veterinary Clinic donated their time and skills for free and an army of volunteers nursed the animals, fetched, carried, cleaned up vomit, and comforted anxious pet owners. 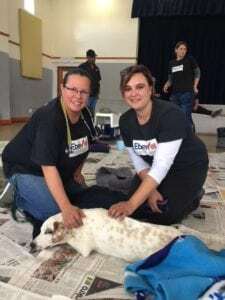 There was a wonderful spirit of community, of sharing and caring and of pulling together for the sake of the animals. 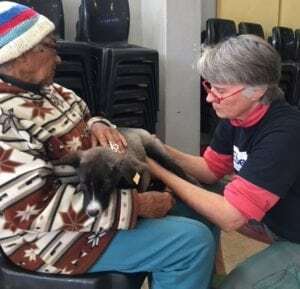 And we were privileged to have Zelda la Grange, former private secretary to Nelson Mandela, volunteering as a nurse on the post-op floor. 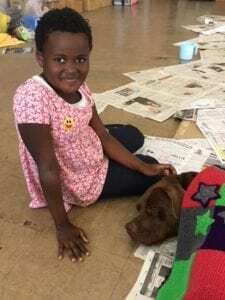 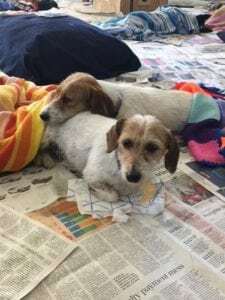 Our grateful thanks to Hermanus Animal Welfare Society, Kleinmond Animal Welfare Society, BARC, and RAD for bringing the animals to us and to the volunteers from Helping Animals Together and Helderberg Animal Rescue Team for pitching in with their skilled nursing and admin teams.